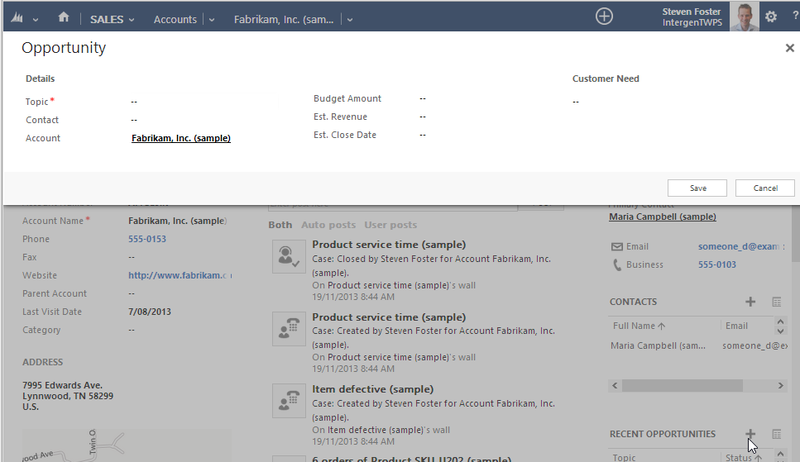 Great new templates for CRM2013 released, see this great post by Scott Kostojohn, Madrona Solutions Group for details. 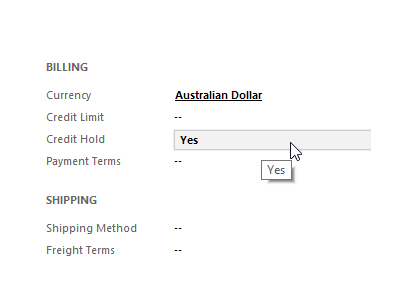 Business Scenario – I want to prevent a user creating an opportunity if the credit on hold status is set to yes of the potential customer. The significance of using a workflow is that I now no longer need a developer to perform this development and if I want to the business rule later I can again without a developer. So how do I do this? You will notice a new feature of real time workflows is the ability to define the status message of the reason for cancellation or success. In here we can specify how we inform the user on what to do next and is key to a validation rule. So I now navigate to my account record and you can see that the credit on hold status is set to Yes. I click on the plus icon on the Opportunity grid and get presented with the quick create form. I complete the details and save, I get presented with my nice status message, and the user can not create an opportunity. Simple or complex validation rules can not be applied using workflows by non developers that enable the business to own the validation of the system. Very cool new feature and again shows you can do a lot before you need to customise!